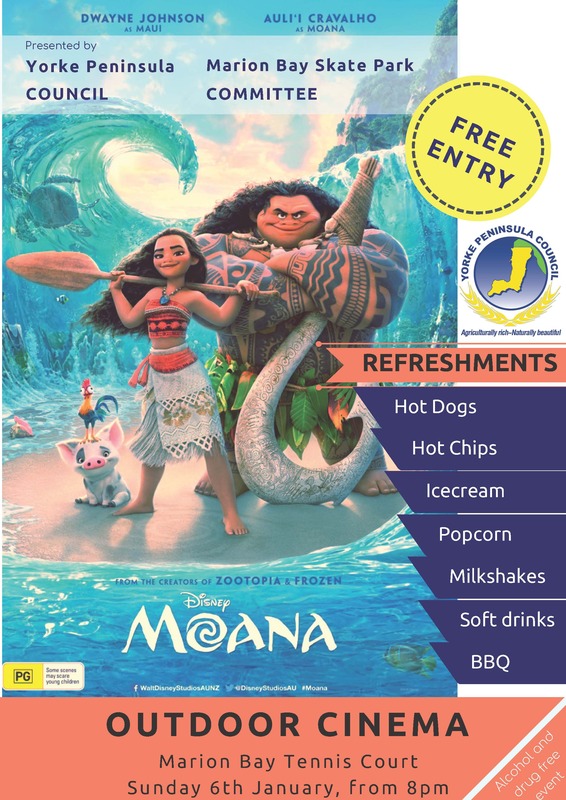 The Marion Bay Community are again hosting a free outdoor community movie night on Sunday 6th January 2019. 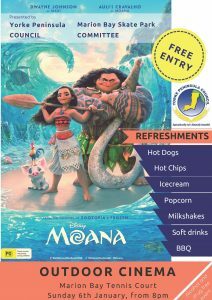 Bring your deckchair or picnic blanket and enjoy a great night out for the whole family. Food and refreshments will be available for purchase with all proceeds going towards building a skate park at Marion Bay.